Health systems, especially in within Africa, face the challenge of delivering high-quality services to an ever-growing population with limited resources. This has necessitated the development of innovative approaches to expand access to healthcare to larger numbers of people, even in the most difficult-to-reach locations. The role of electronic and mobile technologies, ranging from simple SMS messaging for reporting and complex information and data management systems for studying patterns in disease prevalence, in the transformation of healthcare delivery has become more evident. eHealth Africa was founded in 2009, on the belief that adapting technology to meet local needs and settings, is the key to delivering better health services. A decade later and with projects such as the Geo-Referenced Infrastructure and Demographic Data for Development (GRID3) and solutions such as LoMIS Suite and Gather under our belt, eHealth Africa is an established leader in the Global Health Informatics (GHI) space. Our approach to technology is that systems designed in proximity to the environment in which they are needed are stronger, more effective, and help close the gap between design and use. 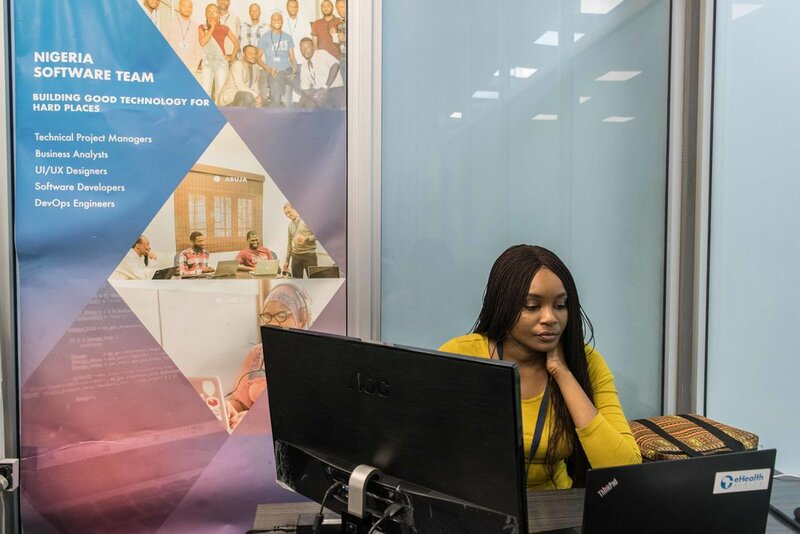 Our GHI program spans several technical areas including software development, Geographic Information Systems (GIS) & Analytics, Information Technology & Engineering Operations, Business Analysis and DevOps Engineering. We therefore constantly seek to connect and leverage our work across focus areas while attracting and retaining the best employees. Through a more deliberate focus on employee development, we focus on building and keeping an outstanding Africa-based team to execute our work. Some members of our GHI team share some of the ways that eHA supports the development of careers in tech. DevOps is a growing culture which was born out of the need to roll out incremental changes to software several times daily. In the past, it was not scalable or automated; now with new technologies in cloud computing, automation and deployment, development and operations process are easier and more cost-cutting. At eHA, we use open source technologies to solve health-related challenges in contexts which are constantly evolving. It is very important for the solutions that we create to move from writing to pushing to production within minutes. DevOps simply eliminates the barrier between the people who develop software and those who operate it, allowing the development of solutions that integrate functionality with enhanced usage and minimal error. 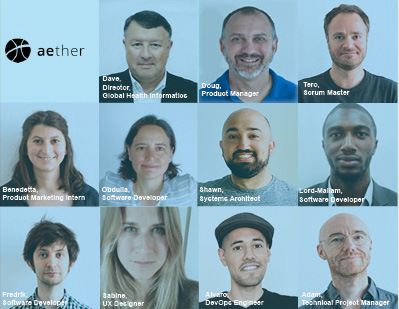 I joined eHA about 2 years ago as a DevOps engineer and in that time, I’ve worked with the team on the best and most cost-effective way to evolve and improve our solutions at a faster pace. There is a tendency for techies to be somewhat distant from the clients who use their software or solutions. eHA allows members of the GHI team to be seconded to other eHA offices in Berlin, Sierra Leone, and Liberia and to clients in different parts of the continent (Chad, Cameroon, Niger) in order to ensure that the team is fully embedded with clients and fellow technical consultants. This provides a deeper grasp of the context and increases empathy towards the client and the work that we do, making work enjoyable, irrespective of the inherent challenges and risks in implementing a project. 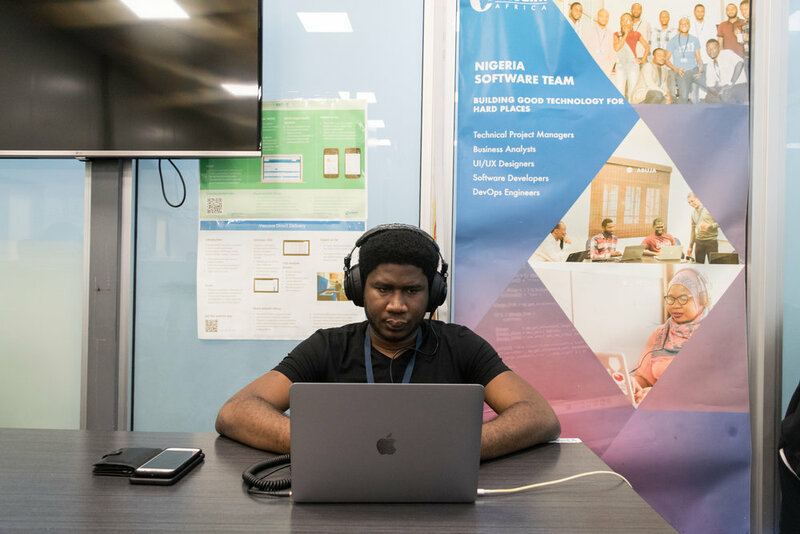 eHealth Africa is committed not just to delivering data-driven solutions that address systems-level issues across Africa, but to providing career and learning opportunities to tech enthusiasts. We are passionate about sharing our knowledge, experience, and skills with the next generation in order to inspire positive change. eHealth Africa frequently hosts tech meetups in Kano and Berlin to bring together individuals who are interested in developing technological tools for development. If you are interested in pursuing a career in tech or global health informatics with an established leader in the field, visit the careers page on our website to keep up with internship or job opportunities. My name is Justice Agbadu, a student of the African Institute for Mathematical Sciences (AIMS) in South Africa. As part of the Industry Immersion Program in my school, I joined eHealth Africa as an intern with the Geographic Information Systems (GIS) & Analytics department. Any student aspiring to begin a career knows that an internship is invaluable for gaining on-the-job skills, experience and for establishing necessary contacts. Internships help to integrate theoretical knowledge gained in school with day to day practical field application. An employer is more likely to hire a candidate with internship experience than someone who has no experience, especially at the entry level. Here are my top 5 reasons why you should intern with eHealth Africa. eHealth Africa’s young, dynamic workforce is made up of smart people from countries all over the world. I have had the opportunity to work with people with varying skill sets and levels of experience in different fields and I am shocked by how much I have already learned. I am also gaining knowledge outside my field and learning about different cultures. eHealth Africa is located on serene, beautiful grounds that relax you and make you glad to be at work. All staff members are provided with all the tools that they need to deliver the desired results. I love the fact that every department has its own feel and vibe. In my department, GIS, we are pretty laid back and you can often find us seated on bean bags analyzing geographic data collection tools. My favorite part of my work environment is the people—they are friendly and always ready to answer my numerous questions. This helped me to settle in quickly despite the fact that I had never visited Kano. One of my favorite quotes is by Mark Twain—”The two most important days in your life are the day you are born and the day you find out why.” I can definitely say that this internship at eHA has helped me discover my professional direction and career goals. This is really important because a lot of people are moving through the motions without having clearly defined goals and objectives. I have also discovered personal skills and competencies that I never knew I possessed. eHA easily has the largest GIS team in Africa and there is always something new and challenging to work on; so I am gaining knowledge that most people don’t have access to, which positions me as a valuable asset in this field. eHealth Africa’s team is spread across several countries in Africa as well as in Berlin and the US. We implement data-driven projects in five focus areas: Disease Surveillance Systems, Health Delivery Systems, Laboratory & Diagnostics Systems, Nutrition & Food Security systems, and Public Health Emergency Management Systems. This wide scope of work means that staff have various opportunities to grow and migrate within the organization. In the course of my internship, I have seen staff move to Nigeria from other country offices and vice versa. Some staff in the organization started out as interns just like me and have now become project managers. eHA is an established thought leader in the field of technology and data for health systems strengthening so I know that having this internship experience on my CV already highlights me as a valuable talent to other organization. eHA works to address real problems such as access to quality health care and services and nutrition. One of my favorite projects is the Vaccinator Tracking Systems, a project that captures passive tracks of vaccination teams during the Immunization Plus Days using a mobile application installed on Android phones. Using GIS technology, eHA is able to provide governments with near real-time data on the vaccination coverage during IPDs to aid planning and decision making. I am very glad that I am contributing in some way to the eradication of Polio in Nigeria. This internship experience has made me more passionate to do more to help underserved populations in Africa and to improve their quality of life. The experience so far has been very rewarding and I look forward to more opportunities to contribute to the work at eHA. Looking for or interested in an internship spot, visit our careers page for more information. Meet Sonia Khalil, the Procurement Supervisor in our Sierra Leone office! Sonia joined eHealth Africa (eHA) over 4 years ago. Her role supports all programs and projects. She is responsible for procurement activities, including managing supplier contracts & relationships, managing efficient distribution of supplies in the supply chain cycle, and providing training internally to ensure good internal control systems. Sonia serves as the lead in the Operations team to ensure procurement processes and procedures are followed. Sonia’s work with eHA has made her develop a strong international field experience in supply chain. This role has further made her diplomatic, cultural and gender sensitive. When Ebola broke out in Sierra Leone, Sonia had the opportunity of taking part in the Ebola Response Management System right from the beginning of the outbreak, where she served as the focal person for all logistical support for the organization. During the U.S. Centers for Disease Control (CDC) Vaccine trial in 2015, Sonia also supervised the logistics, fleet and procurement staff in preparation and implementation of the project work plan to monitor supplies throughout the clinical trial at the time. Sonia’s contribution to her team has been remarkable. She has established a good internal control system, provided training and coaching on best procurement practices, established proper procurement policy and templates, practiced with the team fair and transparent procurement structures. Her greatest achievements have been: managing the initial set-up of the offices and providing a system for the rapid distribution of supplies and logistical support to the various emergency response centers in the districts during initial emergency stage in 2014; participating in program and emergency response strategy planning, participating in the development and deployment of policies for best practices. Sonia won an award for Outstanding Non-Profit Professional Staff of The Year 2018. The award was presented by the Sierra Leone CEO council at the Golden Tulip Hotel, Aberdeen, Freetown, Sierra Leone. We are happy and proud to have Sonia as part of our eHealth Africa team. Would you like to be a part of our team? Click here to find out more. 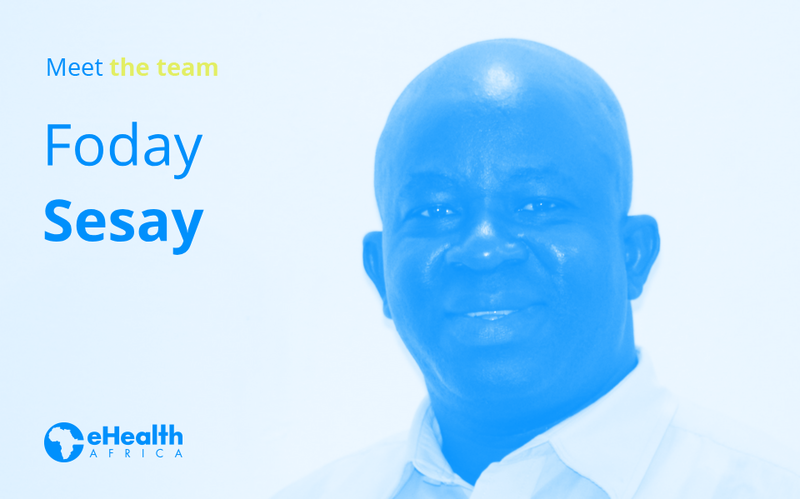 Meet Isaac Too, who joined the eHealth Africa (eHA) team two years ago as the Finance Manager in our Sierra Leone office! Isaac is responsible for strategic and technical financial leadership to the team, policies formulation and Implementation, stakeholders engagement, accurate & timely donor financial reporting, vendor relationship management, resource management/internal controls and risk management, among other responsibilities. Some of Isaac’s greatest achievements have been: championing a zero tolerance policy of financial mismanagement and instilling a culture of management by example; successfully managing multiple donor project closeouts, and was instrumental in the closeout and financial reporting in the Liberia office when we closed its doors earlier this year. Additionally, Isaac has managed two consecutive external audits (for 2 years) without major queries. He believes in strong teams and is committed to building the capacity of his team and providing the requisite skills and tools with a view to supporting and delivering strong financial management in our Sierra Leone office. 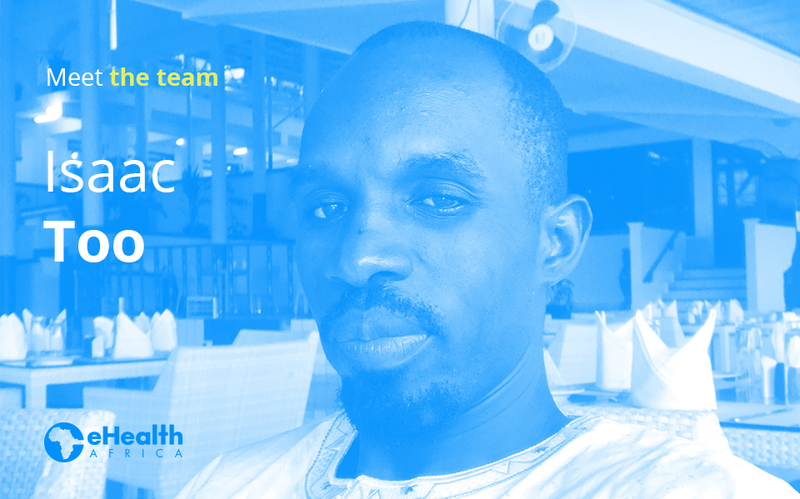 We are happy and proud to have Isaac as part of our eHealth Africa team. Eleanor Williamson-Taylor is a programs Intern at eHealth Africa (eHA) in Sierra Leone. She joined eHA in September 2018. Eleanor currently works with the Public Health Workforce Development Team (PHWD). Her role involves liaising and coordinating with various PHWD stakeholders including the Directorate of Human Resources for Health, Directorate of Health Securities and Emergencies, Clinton Health Access Initiative, and U.S Centers for Disease Control (CDC), among other partners to ensure effective collaboration in developing the strategy for development of the public health workforce in Sierra Leone. Meet Abdulkareem Iyamu, a Senior Coordinator with our Operations team at our Kano Campus in Nigeria! Kareem, as he is fondly called, works with the Geo- Referenced Infrastructure and Demographic Data for Development (GRID3) project that mapped 25 states in Nigeria plus the Federal Capital Territory (FCT). Currently, the project focuses on supporting states to use the geospatial data for informed decision making. The implementation of the project is mostly field-based and therefore, requires constant logistics support. Kareem coordinates the operations side of the project. He makes sure people and resources are where they need to be at all times. He organizes travel plans, coordinates activities and event, and oversees the purchase and delivery of equipment. He ensures that the GRID3 project runs smoothly and often jokes that he could pass for the SCRUM master on the project. Kareem joined eHA in 2017 and he has proved to be a valuable asset to his team and to eHealth Africa as a whole. He is well known and liked for his skills in organizing and is often drafted into various planning committees. He works hard to build relationships that are beneficial to the program and to eHA. Recently, he identified and helped eHA to win an opportunity for a household survey with Clinton Health Access Initiative (CHAI) in Kaduna State, Nigeria. In Kareem’s opinion, eHA is a platform where every skill is valued and can be honed. Are you passionate about operations and logistics? Click here to read more about career options at eHA. 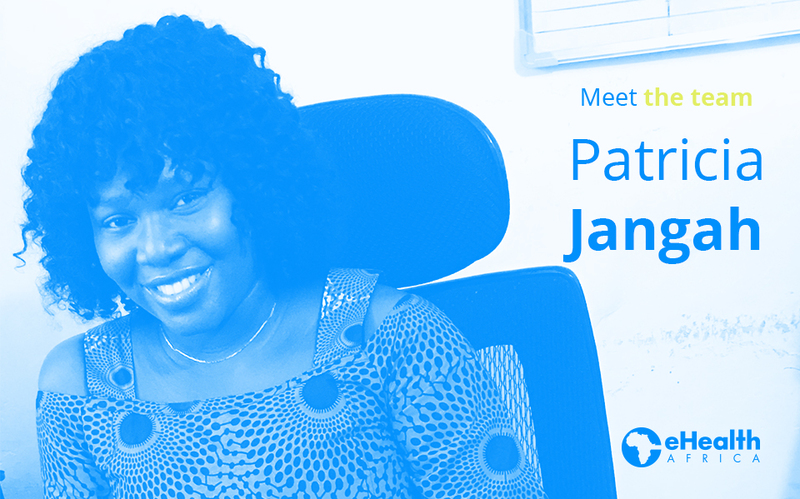 Meet Patricia Jangah, the Human Resources Manager in our Sierra Leone office! Patricia joined the eHealth Africa (eHA) team over 2 years ago. She started working with eHA as Manager, Human Resources. She supports all projects at eHA in Sierra Leone. Patricia maintains and enhances the organization's human resources by planning, implementing and evaluating employee relations and human resources policies, programs, and practices at all times for effectiveness and efficiency. In doing this, she sets up strategies to recruit, develop, retain and reward staff. She Supervises two staff and their department’s mantra is “give results not excuses”. She serves as a connection between the labor related government agencies and eHA in Sierra Leone. One of Patricia’s greatest successes at #eHA was the development and roll out of the Sierra Leone employee handbook, the development and implementation of an engagement program, called “ Team of the Quarter”. Her department also prides itself on increasing the utilization rate of the HRIS - BambooHR and the attendance software (Swipeclock) by employees to 100% and introducing and maintaining a well structured onboarding program for new employees joining the eHA team in Sierra Leone. Patricia has also been a vital contributor to the management of all staff related activities in eHA Sierra Leone. Her strength is in creating systems and procedures that make work seamless, and she has successfully done so for the HR team in the Sierra Leone office. She encourages staff development, coaching and mentoring of her supervisees. We are happy to have Patricia on board the eHealth Africa team. Patricia is particularly proud about the fact that she has been able to put eHA’s HR systems and procedures for success and to create awareness in the organization around Sierra Leone’s labor policies and their legal implications. Meet Iheanyichukwu Uzoma, an associate manager with our Geographic Information Systems (GIS) department. He joined eHA as a Technical Project Manager seventeen months ago; currently, Iheanyi supports GIS tracking activities and analyzes polio vaccination coverage data for settlements in Borno and Yobe states. He also supervises operations for the Vaccinator Tracking Systems project . One of his biggest achievements is the development of a Missed Settlement Tracking and Analysis (MISTA) Tool, which has been instrumental in identifying, naming and planning immunization campaigns for missed and previously unnamed settlements. Iheanyi is passionate about capacity building and development, not just for himself but for his colleagues. eHealth Africa, he says, has given him the opportunity to share his knowledge and skills with his team and with other staff across the organization. Iheanyi is very well known across eHA for his role in the rollout and adoption of the official project management methodology, Projects in Controlled Environments (PRINCE2), across the organization. His facilitation and coordination efforts contributed to a 93% success rate in the PRINCE2 Certification examinations taken by a number of eHA staff recently. Meet Adam Butler, the Technical Team Lead in the Germany office, and the voice of eHA’s Aether and eIDSR videos! Adam joined eHA in May 2015 as a software developer before switching to a project management role and then Technical Team Lead in the Germany office, where he manages the Berlin-based developers, designer, and project manager. His role also includes technical project management, currently on Aether, Aya, Gather, and Gather DRC, a microcensus project in the Democratic Republic of the Congo. When he is not voice acting—stay tuned to hear him in upcoming Gather and Laboratory Services videos—Adam helps decide what eHA should build and how to go about building it. Throughout these processes, he supports the development team by providing them with the tools and information they need to produce the best work they can. In his leadership role, one of the biggest challenges Adam has faced has been resisting the temptation to dive into code himself to start trying to fix a problem. Instead, as a manager, he focuses on clearing the way for a developer on his team who really knows what they’re doing to solve the issue. Click here to learn more about joining our team. Meet Adanna Alex, Senior Coordinator with our Geographic Information Systems (GIS) team at our Kano Campus in Nigeria. She manages the Nigeria master geodatabase by ensuring that all updates and new data such as boundaries, settlement features, hamlets and other points of interest are integrated into the database and that all the microplan settlements in our database are validated. This is very key for projects like the Vaccinator Tracking System, Polio Immunization Plus Days (IPD) tracking and the Geo-Referenced Infrastructure and Demographic Data for Development (GRID3) which rely heavily on geospatial data for their implementation. Adanna has been with eHealth Africa for almost five years and has focused on building on her skills and knowledge everyday and helping to develop others. She trained the pilot team to manage the integration of Borno State data into the master geodatabase. In addition, she is currently responsible for supervising all interns with the GIS department. Describing her work experience with eHA as fulfilling, Ada believes in doing every little task diligently because it amounts to something big. Are you inspired by Adanna’s story? Click here to join our team! The UN International Day of Charity is celebrated every September 5, and this year is focused on the Sustainable Development Goals. While the projects that eHA implements provide data-driven approaches towards the goals of “Good Health & Well-Being” and “Zero Hunger”, we also recognize the central role of volunteering and philanthropy in creating global change. This is a belief shared and supported by eHA and demonstrated by a team that frequently engages in various charitable outreach projects to support the communities that we live and work in. This year on the International Day of Charity, we would like to thank those who have contributed to our civic engagement and corporate social responsibility projects, including eHA staff and community members that participated in our donation drives. Your generous volunteering of time, as well as your donations of clothing and food items were vital to our charity projects at a retirement home in Freetown, Sierra Leone and a children’s home in Kano, Nigeria. We also want to thank the almost 50 members of eHA staff, including our Executive Director Evelyn Castle, who participated in the blood drive organized at at our Kano campus on World Blood Donor day. At eHealth Africa, we are passionate about impacting lives and investing in the places that we call home. This International Day of Charity, we encourage everyone to do the same. Friday Daniel is Project Field Operations Coordinator in our Nigeria office. He joined eHealth Africa over four years ago as a Field Officer on the Vaccinator Tracking System (VTS) project. He helped to improve vaccination coverage as well as to reach frequently missed settlements in states with high risk of Polio and low immunization coverage rates. VTS provides immunization coordination teams at national, state and local government levels with a deeper understanding and insight into what exactly takes place at the wards, communities and settlements during the house to house immunization campaigns. Less than a year after he joined eHA, he became a field operations coordinator and worked across five projects including Auto-Visual AFP Detection and Reporting (AVADAR), Lake Chad Mapping, Field Tracking System and the Polio Vaccination Monitoring and Accountability System. One of his greatest achievements is his pivotal role in identifying unknown settlements under the Vaccinator Tracking System project. He researched and introduced an existing tool to the Field Operations Team which helped to increase the tracking coverage from 68% to 89%. Friday works closely with partners and stakeholders to ensure that project objectives are met and that governments are provided with useful data that can aid decision- making and planning in line with eHA’s strategy. He also manages and supervises the activities of the field operations personnel to ensure that project activities are implemented efficiently. Meet Foday Sesay, the Lead Driver in our Sierra Leone office. He joined the eHealth Africa (eHA) team over 3 years ago as a driver and now manages our in country fleet team, managing both the team of 13 drivers and the entire fleet of vehicles. The fleet team is an integral part of our program operations, by providing ground transportation support to all of our programs and projects. They ensure that people and resources reach their destinations safely and on time. Foday is responsible for managing all the moving pieces to make sure all of this happens smoothly. He ensures that every vehicle is in working condition and that the drivers are well equipped with the right tools and training. Foday has focused on processes and procedures to be more successful in his role as lead driver. He plans regular training sessions for the fleet team and this has led to better driving records; there have been no traffic offenses nor have there been any major accidents with eHA vehicles since 2017. Also, under Foday's leadership, the fleet team has also become more efficient with resource management, the best example of this is continuous decrease of the the fuel consumption rate since 2016. Foday has made measurable and visible impact since he joined the eHA team and we are happy to have Foday with us, he keeps us moving! Click here to learn more about joining the eHA team. Faiza: My name is Faiza Hamisu Aliyu. My first degree is in Microbiology from Kano State Polytechnic. I also have a diploma in Laboratory Science from the same school. I am currently in my National Youth Service Corps service year and I intend to obtain a postgraduate degree in Epidemiology when I’m done. How did you join the eHealth Africa team? Faiza: I was posted to eHealth Africa for my service year in August 2017. I had always wanted to serve in an organization that would give me the experience I need to begin my career. When I was posted to eHA, I was quite nervous because I had no knowledge of the organization or the type of work they do. Describe your experience on your first day- how did you feel? What was running through your mind? Faiza: I was assigned to the Laboratory and Diagnostics department as an intern. The laboratory department had two ongoing studies at the time which were the Induced Sputum Study and the HemeChip Clinical trial. I remember thinking that the laboratory had so much equipment that I was not conversant with and I was worried that I wouldn’t be able to master them. One of the first things that struck me about eHA was that they use technology for everything! There was so much to learn. Faiza: After a few days, I realized that there was no need to worry because my supervisor was very patient with me. He trained me for a very long time to use all the technologies in the lab. He always encouraged me to ask questions and to seek clarification whenever I was unsure of something. I learnt to use lab data software like RedCap, FreezerPro, and Odoo. I was also trained to receive, register and process various biological samples. I learned how to use the HemeChip device to determine genotypes from blood samples and how to collect and process sputum samples. What do you like best about eHA? I love working at eHealth Africa. The staff are very welcoming and eager to help. No one treats me differently from any other staff even though I am an intern. I love the fact that eHealth Africa provides opportunities for everyone to learn and grow in their career and in any other areas of interest. Apart from my lab work, I gained several useful skills in different fields. I worked with the Geographic Information Systems team to validate and clean data from the mapping of settlements in Borno state. I also worked with the Monitoring, Evaluation and Research (MER) department to enter data from over 500 respondents in a study to assess access to care by snakebite victims. One of my biggest takeaways from eHA is to deliver every task with utmost diligence. Is there anything you want to say to the eHealth Africa team and to anyone looking to join? My NYSC year will be over this month but the experiences and knowledge that I have gained will be mine for the rest of my life. I am very grateful to eHealth Africa and I encourage everyone who wants to grow and gain hands- on experience to join us. eHealth Africa developers are active in a number of open source communities. Indeed, many of eHA’s solutions have incorporated open source software such as Open Data Kit (ODK), CKAN, OpenHIE, DHIS2, and Humanitarian OpenStreetMap (HOT). We are just weeks away from giving back to the community in the form of two new projects - Aether and Gather. We’re excited to support others who are developing solutions for the global good. We interviewed the team behind eHA’s Aether to discuss the reasons why they created an open source development platform for data curation, exchange, and publication. Aether is being developed by a multi-country team working in three different continents, so it was a challenge to sit down with them all in one place. Still, we talked with four people key to its development and asked them what exactly Aether is and why eHA decided to create it. Our conversation included the Director of eHA’s Global Health Informatics Dave Henry, Aether Product Manager Doug Moran, Systems Architect Shawn Sarwar, and Technical Team Lead Adam Butler. Why is eHA developing Aether? During our discussion, Shawn Sarwar explained that throughout eHA’s years of experience developing ehealth solutions we faced recurring challenges when scaling the impact of our products within the communities we serve. Customization can create maintenance challenges. When multiple customers use a particular solution, a certain level of customization is required. The various codebases can drift apart, making it difficult to apply bug and security fixes across all of them. There isn’t always a standard set of components across projects. One team may know one technical stack, while another could have a different preference. This leads to the siloing of potentially useful components according to people’s comfort and familiarity. Almost every project needs to integrate with one or more external systems. Because of this requirement, teams normally plan to write their own integration to exchange data between different applications. As a consequence, we became very good at creating variations of common solutions. But instead of reinventing the wheel each time, what if we could capitalize on a framework for the development of ehealth solutions? This, Dave Henry explained, is what drove eHA to develop Aether. Simplify the integration of popular ehealth applications. Provide a consistent way for data to flow from these applications directly to where it needs to go. Today the Aether team is pleased to announce the results of this effort: the Aether platform and it’s first companion solution Gather. More precisely, it is an integrated set of tools and services that allows developers to connect to data sources, interpret data structures, and map attributes into a normalized set of entities defined by a formal schema. Aether flows the resulting data in real-time to one or more downstream destinations. The publication process is open and modular – the destinations receive data based on the schema (a de facto contract) and are completely insulated from the source systems. Data can be delivered concurrently to multiple destinations. In this way, Aether facilitates the flow of data between data-producing and data-consuming applications, enhances data security and privacy, and accelerates the transmission of data between organizations. Basically, Aether allows for faster and more accurate data-driven decision making that helps save lives. Aether helps organizations exchange health data faster and easier, but most of all it improves the productivity of developers that create ehealth solutions. According to Doug Moran, Aether is a product built by developers for developers to facilitate their work and free them to focus on the actual solution rather than infrastructure. Solutions become easier to deploy, maintain, and upgrade than traditional one-off projects built from scratch. By building on a common foundation, the software development process becomes well defined, predictable, and repeatable. Basically, Aether is a framework of best practices for ehealth systems design. The Aether developers have done much of the dirty grunt work so that the project teams can do the exciting and heroic stuff that solves real problems for real people. And what about Gather ? Dave also talked to us about Gather, the first solution and use case built on the Aether platform. Gather leverages Aether and 3rd-party open source software to collect and distribute data collected during large scale field surveys, receives survey data from forms submitted via Open Data Kit (ODK), and ingests it into an Aether pipeline for processing and distribution. The Gather solution includes the ability to flow data into ElasticSearch / Kibana as well as the CKAN Open Data Portal. The Aether platform services are used to package and operate the ODK components, the Gather user interface, the Aether core modules and the Aether publishers. Gather is just the first – but arguably the most universal – use case that eHA will address with Aether. Technical Team Lead Adam Butler elaborated on the implementation of Gather across the countries where eHA’s operates. He explained that in Sierra Leone, the CHAMPS (Child Health and Mortality Prevention Surveillance) network uses Gather to collect data as part of an initiative to identify and prevent child death. In Nigeria, the GRID (Geospatial Reference Information Data) project uses Gather to collect spatial reference data and other points of interest such as health facilities, schools, markets, and post offices to create a geo-database that the government uses for data-driven decision making. In the Democratic Republic of the Congo, the DRC Microcensus project used Gather to conduct a microcensus in the region of Kinshasa and Bandundu in order to predict how many people live in each settlement and estimate the total population for DRC, information that is playing a vital role in the current Ebola outbreak. What is eHA’s vision for Aether ? A platform for integrating, distributing, and operating sophisticated solutions for specific ehealth industry use cases. A facility for organizations that are taking their first steps into data governance and (internal) application interoperability. A controlled “on ramp” for organizations that engage in formal data sharing using international standards. Aether will be launched as open source software this summer. Stay tuned for the release announcement! I am Olufunke Femi-Ojo, a graduate of Public Health from Babcock University Ilishan-Remo, Ogun State. I have a passion for studying human diseases and conducting clinical studies on how to improve the health of the public by collection and interpretation of public health information, data analysis, studying trends and making forecasts. In the near future, I intend to get a masters degree in Public Health with a focus on Biostatistics and Epidemiology as I would like to to work within the public health field, perhaps with a hospital, government agency or an international health organization. My passion for public health, led to my search for an organization suitable for jump starting my career. Then I found eHealth Africa. I joined eHealth Africa (eHA) in September 2017 as an Intern with the Monitoring Evaluation & Research (MER) Department. The MER Department is responsible for assisting in monitoring and evaluation of eHA’s programmatic and project areas. Currently, the department assists with the development of outcome and output indicators in alignment with project’s outcomes. In addition, the MER department is responsible for monitoring and analyzing data that comes in from some of the projects, to ensure that activities and interventions done are contributing to the overall outcome and objective of the project. The department also provides support in generating and developing reports that are shared with stakeholders and donors. Walking into the building I was a bundle of nerves with a blend of emotions: scared, anxious and also so expectant. Scared because I wasn't sure of what lay ahead of me, I thought I might have to struggle to fit in, anxious and expectant of the things I would learn and could add to the organization. It did not take long for all my fears and anxiety to be laid to rest. The environment and people are not just welcoming but they are supportive in every way. eHA has a relaxed environment and just by sitting and observing I have learned the importance of teamwork as here there are different departments with varied roles but they all have to come together for a common good. At eHA, I have gained a better understanding of my skill set and where my career may take me. Being a part of MER department has broadened my knowledge and expertise as I have learned to work with the programs department to collate and analyze data which are then used as internal quality assurance mechanism for project delivery. This is especially useful to me as I have acquired deep rooted knowledge about the methods and techniques of data collection and analysis which has taken me a step up my career ladder. ... this hands-on approach is definitely priceless. Most of these experiences are knowledge I had gained in classroom but this hands-on approach is definitely priceless. It has served as a beneficial ending to my formal education. I have thoroughly enjoyed my internship thus far as the experience has been insightful and I now have very valuable experience under my belt. We are hiring, come join us! We have several open position for interns in our offices. If you’d like to apply, or join the eHA team in any other capacity, head over to our Careers page to learn more about us. Mariam joined the eHealth Africa team over 2 years as a project manager in our Sierra Leone office. She managed the 117 Call Center project during the Ebola Virus disease (EVD) epidemic. After the EVD epidemic, she was instrumental in transitioning the call center to a sustainable public health mechanism for Sierra Leone. She has worked closely with partners involved in strategic emergency response and surveillance initiatives at national and district level in ensuring the 117 hotline system was a successful tool that aided their decision making processes. Working with the U.S. Centers for Disease Control and Prevention and a team of data managers, she helped develop a comprehensive data warehouse of all EVD related data. 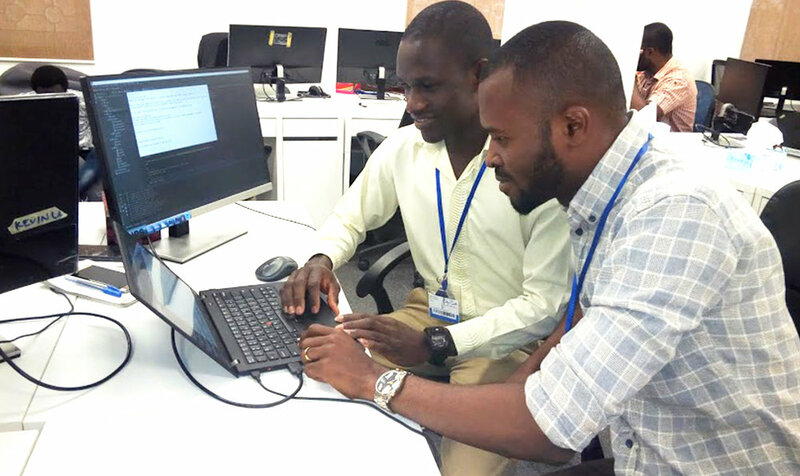 The Sierra Leone Ebola Database (SLED) will help support Sierra Leonean researchers on the effects and trends of Ebola epidemic in Sierra Leone and how lessons learned can help prevent and inform another outbreak. Mariam embodies the values of eHA, her work as a project manager has made a transformational difference for health care in Sierra Leone. She acts as a planner, troubleshooter, risk manager, mentor and support for her team, and has grown professionally while working with us at eHealth Africa. We are happy to have Mariam on board the eHealth Africa team. I dare to say I have become a well rounded public health professional with the growth and experience gained from my position as a Project Manager with eHA.